The exploitation of minerals is an important source of income for many communities in eastern Democratic Republic of Congo (DRC). Yet this mineral wealth also plays a significant role in the continuation of insecurity in parts of the country. Revenues from mineral trade have given armed groups the means to operate, and provided off-budget funding to (often poorly paid) state security forces. Whilst recognising that this mineral wealth is not one of the root-causes of conflict, their trade does play a central role in funding and fuelling conflicts in the DRC, further weakening the already fragile government. 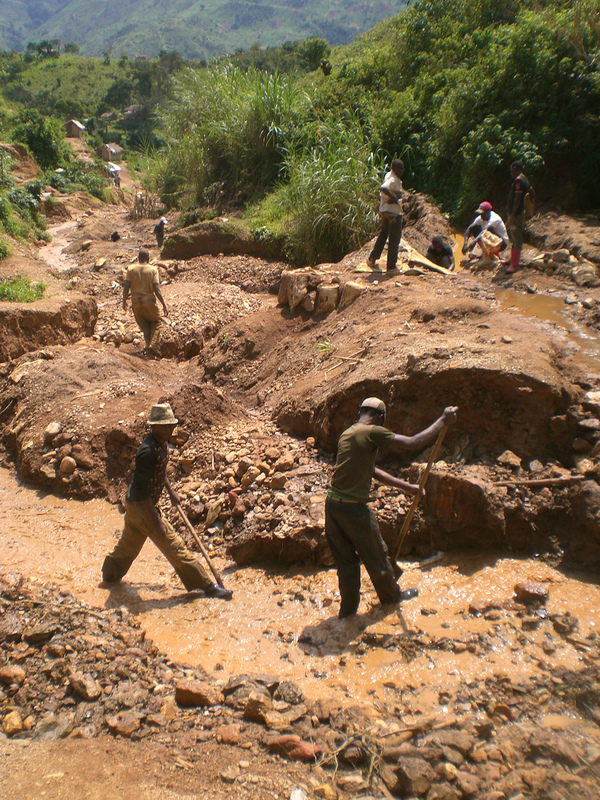 Over recent years, several domestic, regional and international initiatives have been developed to address the so-called ‘conflict minerals’ problem and the high level of informality in the DRC’s artisanal mining sector. The approaches taken by these initiatives include the development of certification schemes, traceability systems and due diligence measures. The initiatives have provoked varying reactions regarding their impact on local livelihoods. This report aims to provide insight into the impact of initiatives on the livelihood strategies of local communities in the DRC, based on field research in a wide range of mining areas; and document the perceptions of local stakeholders of these initiatives and their impacts. The report discusses the socio-economic consequences of the suspension of artisanal mining in 2010, instigated by the DRC president, and a subsequent de facto embargo, as most international mineral traders abstained from returning to the DRC in reaction to Section 1502 of the American Dodd-Frank Act. The research further reveals how the socio-economic situation has gradually improved, although not yet to pre-suspension levels, and insecurity has decreased, in less isolated mining areas that are more closely watched by the international community and local stakeholders. More remote areas, on the other hand, which have not yet profited from more concrete initiatives to resuscitate trade, have not witnessed an improvement of the socio-economic or security situation. In many areas, miners have responded to this decline by turning to the informal gold mining sector. A number of issues are listed that need to be addressed to ensure the success of a possible EU initiative on responsible sourcing of minerals from conflict-affected and high-risk areas. These issues include the need for local ownership, the question of political will, formalisation, lack of information in the field, and a lack of capacity to implement initiatives in the mining sector. Finally, the report’s findings show how these so-called ‘conflict minerals’ initiatives cannot substitute for a broader development policy by the DRC government. A possible EU initiative should therefore be part of a comprehensive approach that addresses, among other things, governance issues and the malfunctioning security sector.